Sorry for the long hiatus from blogging. It was all systems go this morning but Blogger decided to freeze up hence I lost most of my write up. Such a pain in the neck as now I have to remember what I wrote up. Yesterday, I made a special effort to drive down town bright and early to try the stalls at Bukit Bintang market. Located in between Imbi Palace Restaurant and Pasar Rakyat which now seems to moonlight as a bus station, this wet market is well known for their hawker stalls. Originally located at the site of Lot 10 shopping centre, the market was relocated to the Imbi area to make way for the rapid development. Nowadays, it's more commonly referred to the Imbi market by everyone. The wet market is half filled with stalls trading under zinc roofs and a canopy of large plastic umbrellas serving vegetarian food, chee cheong fun, yau char kuai, teochew fishballs, porridge, wantan noodles, popiah and etc. Besides the usual meat, fish, vegetables and fruits stalls, you can also buy clothes and stickers here. 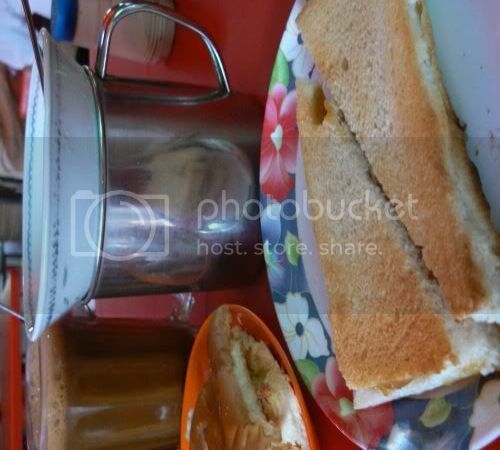 Everyone makes a beeline for the famous Hainan Coffee and Roti Kahwin i.e. 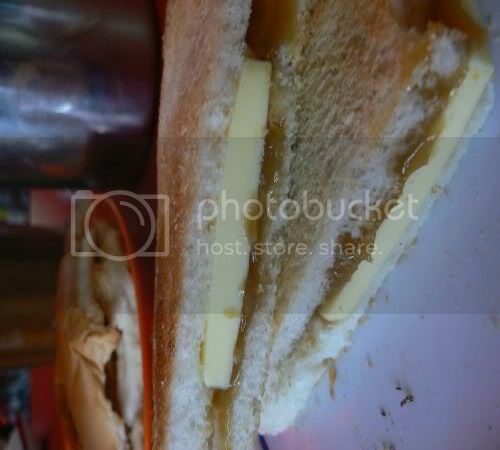 toasted bread or buns served with kaya and a thick slab of cold butter. This thirty year old plus establishment known as Ah Weng is hard to miss with their red plastic tables. Relish your crispy toast with a bowl of half boiled eggs. You need to watch your eggs which is served in a hot water bath for four minutes to get them perfectly coddled. 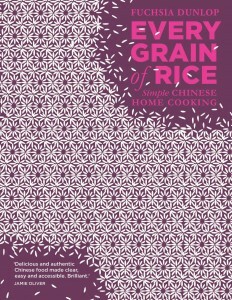 Wash all this down with a glass of hot and aromatic Hainan Coffee. At the back of the shop, the workers are busy brewing their famous Hainan Coffee. In front, two men form an assembly line to slice the bread and buns, toast them in small toaster ovens before adding kaya and a cold slab of butter. You see lots of old timers hanging out at this place reminiscing with the owner about the good old days when her father ran the business. You can also get Sisters Crispy Popiah at the market (RM1.70 per roll). The popiah stall is now a booming franchise with outlets in major shopping malls like Ikano Power Centre, Mid Valley Megamall and etc. This is the first stall which originally started out in Jalan Ipoh about ten years ago and was relocated here approximately four years ago. 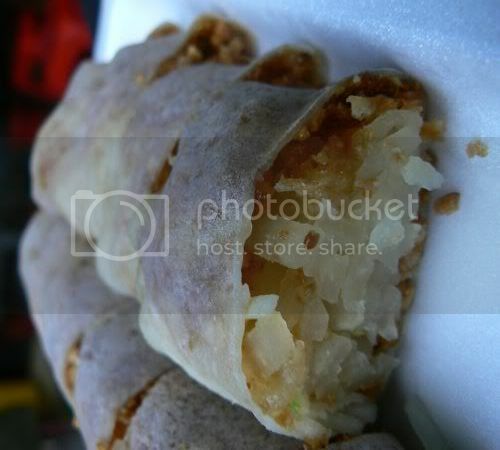 The popiah is unique with the addition of crispy bits to the usual medley of shredded yambean, carrots, cucumber, egg and ground peanuts. A friend of mine also recommended the porridge here which is served with a mix of the pig's innards and topped with crunchy pig's intestines. 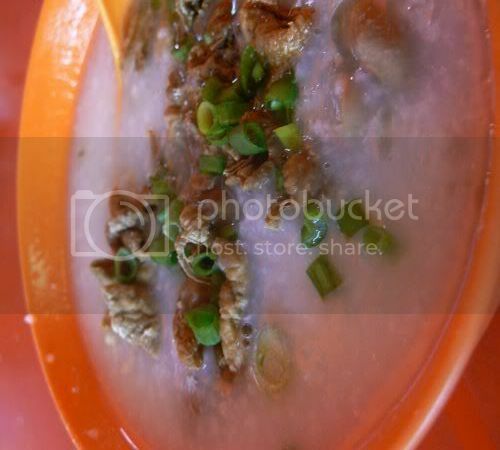 Popularly known as Chee Chap Chuk, this is definitely a once in a while indulgence due to the high cholestrol. It's been a while since I ate this and this bowl was definitely tummy satisfying with it's smooth texture. On the way out, I had to get my favourite snack which I know as Apong or Appam. Unlike the peanut filled ones known as Appam Balik in Malay or Ban Chean Kuih in Hokkien, these are just made from coconut milk batter and cooked till crispy on small woks. You can get five crispy pieces for RM2 that is never enough for me. Even the greedy kitty at home loved this especially after I crunched them into small pieces. 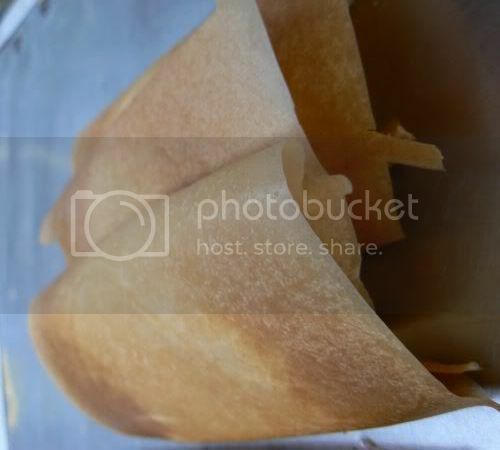 If you are looking for the Appam Balik, there is also a stall selling the softer version. This is the 2nd time in 2 weeks I'm hearing about this place! I think it warrants a visit soon! Thanks for the writeup! i like appong!!!!!!!! there used to be a stall selling appong back in ss2 medan selera food court ever since i was a kid but now, they're gone!!!!! :( and up till today, i don't seems to be able to find any good appong around in kl anymore.. looks like i muz try to find this place and try their appong, thanks for da review boo! paris - yeah, it's quite popular as I found quite a few reviews of this place. Hainan coffee here is very good. I plan to go back again when all the stalls are opened. 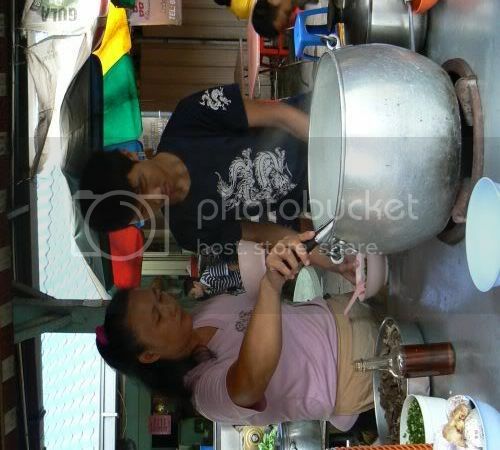 meiyen - you can also get Appong in the Bsar Pasar Malam on Sunday evening. The stall is near Bsr Village. I usually get my appong fix from there. Did you check out the fruit stalls especially the first stall (MBC Fruits)? Excellent choice of fruits! pablopabla - yeah I saw MBC. I like how they wrote descriptions for all their fruits. 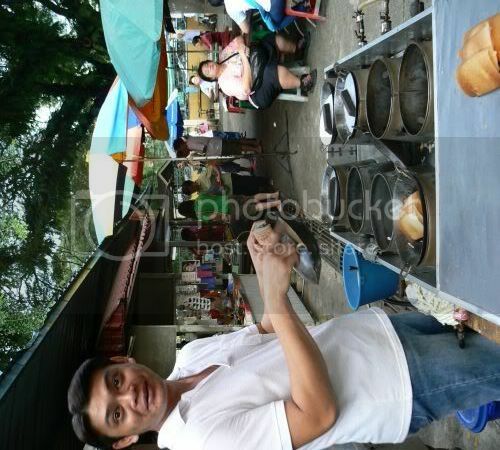 Oh wow, u manage to take pics of the hawkers. Some of them can be pretty notorious. (esp, Ah Weng) I love the thick slab of butter, somehow magerine on "yin yeong" toast just doens't taste as good. honey star - yeah, Ah Weng is notorious. She was telling me lots of people do articles on them.